You requested articles having title word(s) of Smith using expanded match written by all authors on all subjects in all journals in MLPI 1984 - present. 1. "Welcome to Judge Smith"
2. "Smith Assigned to Family Court"
3. "Committee Chair Introductions [Jonathan C. Lewis; Terry L. Slye; L. Marshall Smith]"
4. "Distinguished Humanitarian Service Award Recipient [Joanne Smith]"
5. "New Faces on the 8th Circuit: Do Recent Appointments Portend a Change? [Riley, Melloy, Smith, Colloton, Gruender, Benton]"
6. "Gift to Aid Law Students at 'U' [from Denneth Smith] [news note]"
7. "Are Smith and Hialeah Reconcilable?" 8. "Lena O. Smith (1885-1966): Civil Rights Pioneer"
9. "From the Photo Album [Selection of Pictures and Statements about Notable Hennepin County Attorneys] [Sedgwick; Kelly; Palmer; Brink; Stinchfield; Washburn; Bennett; Schall; Smith; Nye; Lundeen; Youngdahl; Olson; Mondale; Blackmun]"
10. "Foreordained Failure: The Quest for a Constitutional Principle of Religious Freedom, by Stephen D. Smith"
11. "Great Dane: With a Lifetime in the Enemy-Making Business of Political Reporting, Where are Dane Smith's Enemies?" 12. "Land of 10,000 Out-of-State Lawsuits: And Scott Smith has had enough of them"
13. "New Tort of Intentional Spoliation of Evidence (Smith v. Superior Court)"
14. "Anna Nicole Smith Case continues to roil Bankruptcy World." 15. "Jesson, Smith sworn in at Court of Appeals"
16. "ADEA Landscape After 'Smith' Decision: U.S. Supreme Court Case OK'd 'Disparate Impact' Age-Bias Claims"
17. "Joanne Smith: Tough Challenges Await the First Woman Head of the Ramsey County Courts"
18. "Dayton appoints Smith to at-large spot on C of A. [News note]"
19. "Finalists Announced for Hennepin County Bench Openings [Garcia, Isaacman, Karasov, Magill, McKeig, Miller, Moore, Sipkins, Stamps-Smith] [news note]"
20. "Judge John Smith: 9th Judicial District"
21. "Judge Smith Calls For Increased Use Of 'Problem-Solving Courts': Drug And Mental Health Courts Focus On The Issues That Trigger The Criminal Behavior [Judge Joanne Smith]"
22. "Judge Honored by Coalition Against Underage Drinking [Joanne Smith] [news note]"
23. "Lawyers Group to Hold Second Lena O. Smith Luncheon [Wahl] [news note]"
24. "Judges Moonlights as Usher at Summer Olympics [John Smith] [news note]"
25. "Robert Bennett, Jeffrey Storms: David Smith Case. [2013 Attorneys of the Year]"
26. "Friedlander Legal Team [2017 Attorneys of the Year] [Clayton Halunen] [Steven Premo] [Steven Andrew Smith] [Matthew Frank] [Adam Hansen]"
27. "Surly Legal Team [2017 Attorneys of the Year] [Steven Andrew Smith] [Matthew Frank] [Brian Ranwick]"
28. "Jill Smith Beed: Top Attorney for the Mayo Clinic [Special Focus on Rochester]"
29. "Eleven Who Care [Pro Bono Work] [Smith; Fairbairn; Hoeschler; Sison; Brosnahan; Wernz; Tilsen; Heins; Leventhal; Hanson; Nilsson]"
30. "Elizabeth Truesdell Smith, Allina Health [In-House Counsel Awards 2019]"
31. "Gloria Stamps-Smith [2018 Diversity & Inclusion]"
32. "Attorneys of the Year: Stephen L. Smith: MABL President Fights for the Underdog [Minnesota Association of Black Lawyers]"
33. "Minnesota's First African-American Woman Lawyer [Lena Olive Smith]"
34. "New Faces Take Lead on Recurring Judiciary Issues [Stanek; Smith; Holberg; Betzold; Ranum]"
35. "Cullin J. Smith [2018 Diversity & Inclusion]"
36. 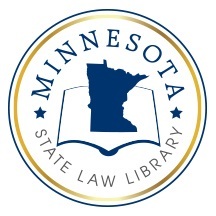 "Minnesota Lawyer Recognizes 12 as 'Attorneys of the Year' for 2002 [Anderson; Ayling; Backstrom; Doll; Hamilton; Kramer; Mohrman; Paulsen; Sheehy; Smith; Thomas; Weinstine]"
37. "Salomon Smith Barney Alleged to Have Deceived Investors"
38. "Disbarred Ex-Mayor Sentenced to Jail [Glenn L. Smith] [news note]"
39. "Coach Smith, U of M are on the Offense." 40. "Court of Appeals flips $5M Smith verdict"
41. "Black Women Lawyers Network Holds Lena Smith Luncheon [news note]"
42. "Profiles: 1995-96 Board of Directors [Jarvinen; Nelson; Corneille; Eisenstadt; Heine; Humes; Miles; Miller; Nipe; Regis; Ritz-Schlaifer; Schwartz; Smith]"
43. "New Firms to Keep an Eye On: Burke Seaton & Castle; Greene, Espel; Plunkett, Schwartz & Peterson; Rau & Floyd; Smith Parker; Tewksbury, Kerfeld & Zimmer; Jack L. Vatland; Westman, Champlin & Kelly"
44. "5th District, Rice County Bars Honor Lucius Smith"
45. "Lena Olive Smith: A Minnesota Civil Rights Pioneer"
46. "Civil Procedure: Facebook friend or foe? : The impact of modern communications on historical standards for service of process - Shamrock Development v. Smith." 47. "Member Spotlight: Kate DeVries Smith"
48. "Lena Olive Smith: Inventive activist attorney." Search LawMoose Minnesota collections for "Smith"
Search LawMoose World Legal Resource Center for "Smith"